The Cinque Terre is a group of five (“cinque”) villages, which combine all the characteristics of the Italian countryside. There, you will have the chance to get lost in the natural beauties by hiking amongst the vineyards and olive groves, which are located above these five villages. A great number of tourists has visited this ancient land annually. Its countryside and its fresh air are the two elements that captivate the senses of the guests here. If you want to visit these five fantastic villages, you should have a few info about them. Monterosso al Mare, Vernazza, Corniglia, Manarola and Riomaggiore. 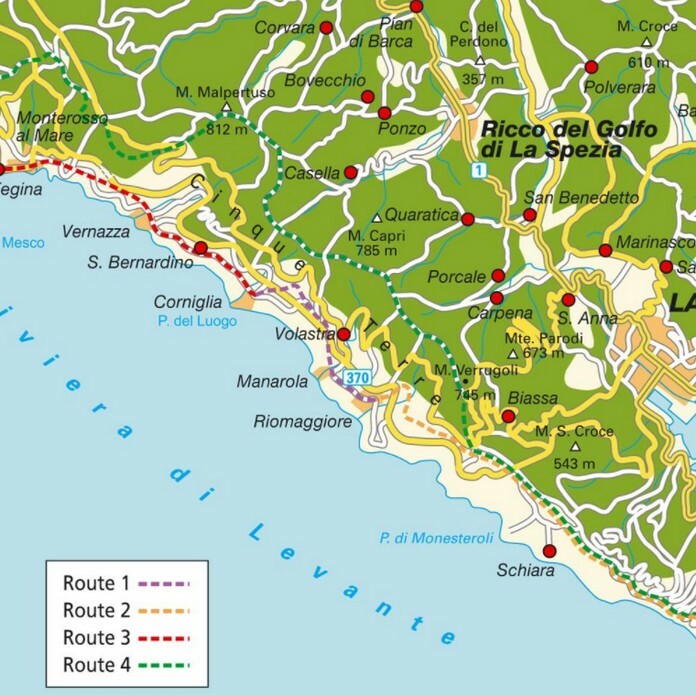 Other towns located near tot he Cinque Terre are Levanto, which is situated north of them, and Portovenere, which is situated to the south. 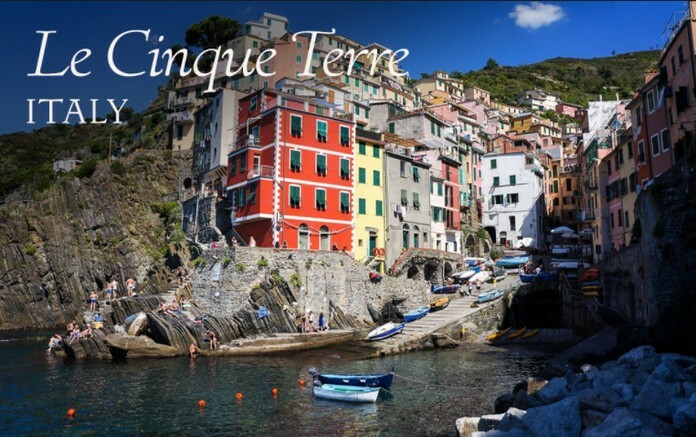 These two towns are a very good alternative, if you do not manage to book an accommodation in The Cinque Terre on time. 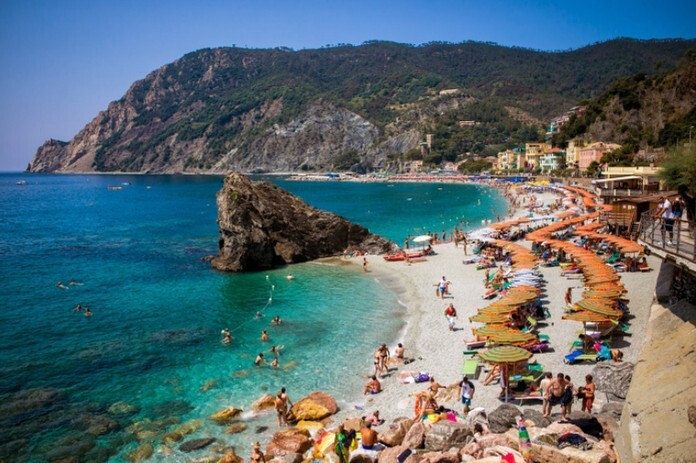 How to get to the beautiful land of the Cinque Terre? There are many different ways to go there. That depends on the time and the money that you will have available. 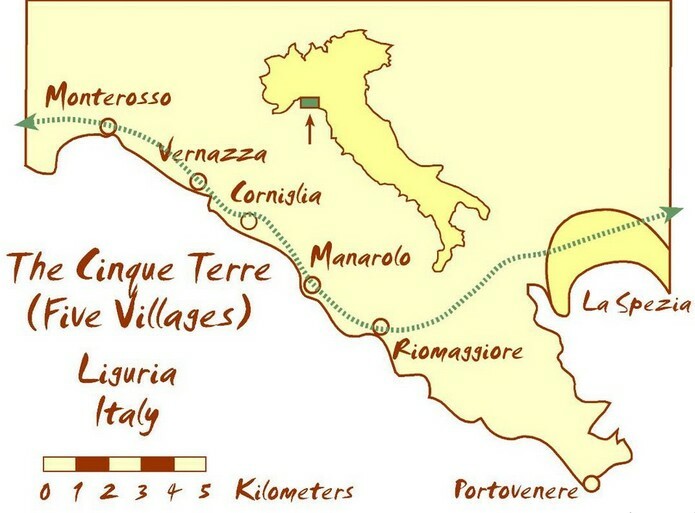 Train is a good option, as it is considered the easiest way to get to the Cinque Terre. You can take the train from Genoa. Make sure that you take the local train called “Regionale”. You can also take this mean of transportation from other cities. If you have enough money, the most comfortable way to travel is by plane. Have in mind that the nearest airports are the “Cristoforo Colombo” and the “Galileo Galilei”. Car is another option that it can be very affordable, if you find a reasonable car rental agency. The thing that it may complicate the things is that you cannot use your rental car, when you arrive to the Cinque Terre.